Located in the heart of Calgary’s central business district, the CORE is a prime example of an ambitious urban renewal project with the goal of uniting three disjointed properties into a single multi-use urban complex with best-in-class fashion retailers. On an architectural level, a seamless connection was created between the urban exterior and the high-street interior. Under a canopy of a structural glass roof, visitors relish the dramatic view from the shopping concourse of the skyscrapers beyond its limits. 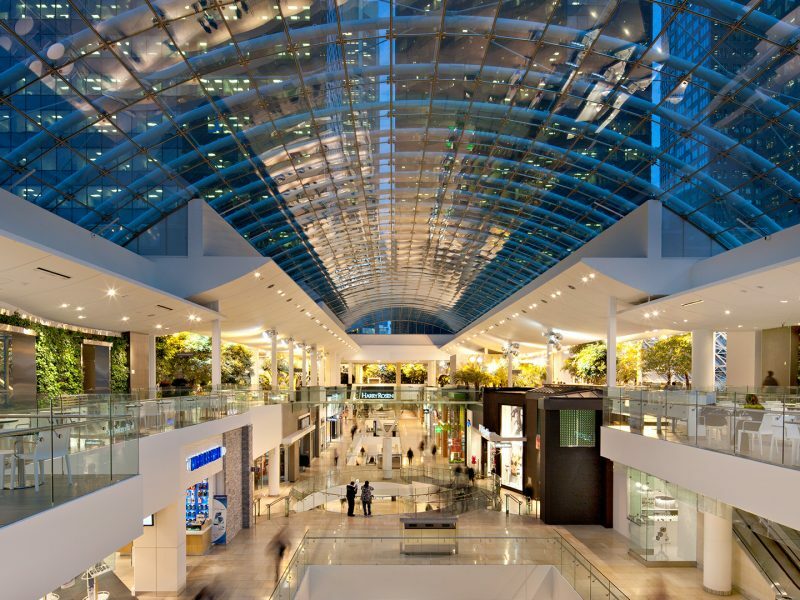 The expansive glass roof emulates outdoor promenades distinguishing itself with high street retail energy.